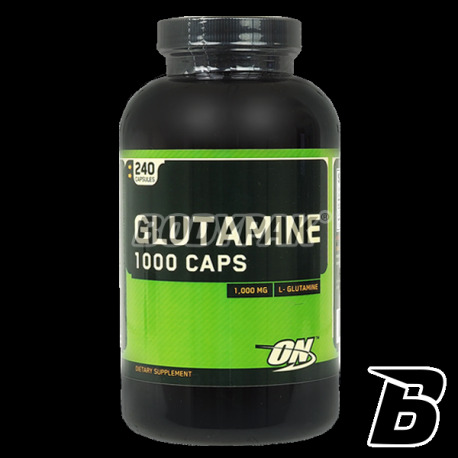 GlutamineOptimum Nutrition Glutamine 1000 - 240 kaps. 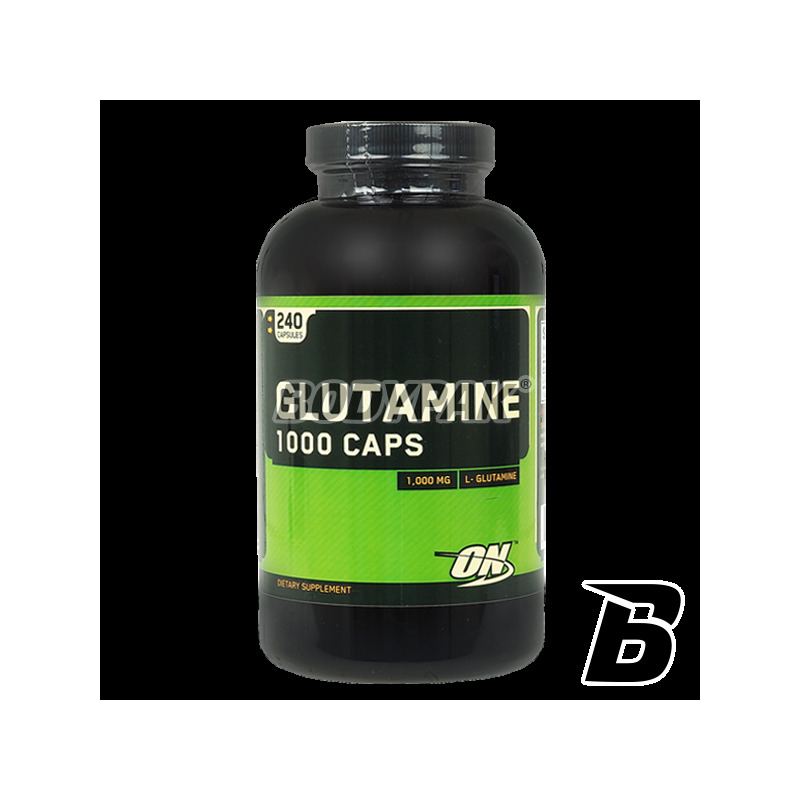 ON 1000 mg Glutamine is a preparation containing 100% pure pharmaceutical micronized form of glutamine-amino acid found in high concentrations in muscles and plasma. ON Glutamine is a product that contains 100% pure pharmaceutical micronized form of glutamine-amino acid found in high concentrations in muscles and plasma. Glutamine is the most important amino acid for muscle tissue adaptation. Stores organic nitrogen, contributing to the positive nitrogen balance. It distributes amine groups for transamination and ultimately for muscle protein synthesis. Glutamine is more than 60% of free amino acids in muscle cells and over 20% of all amino acids present in the body. Micronized L-glutamine is a form easily absorbable and much more active than traditional glutamine and glutamine peptide. GLUTAMINE - micronised increases the growth of strength and lean muscle mass; has a strong anti-catabolic, inhibits the activity of lysosomal enzymes which destroy muscle proteins; is transformed into glutathione and elevates the level of this substance up to approx. 40%, as an antioxidant, glutathione stabilizes lysosomal membranes and inhibits the release of catabolic lysosomal enzymes; as a transporter of amino acids in the gamma-glutamyl cycle, it facilitates the synthesis of proteins and contributes to positive nitrogen balance; increases the hydration of cells and muscle glycogen stores; increases the level of growth hormone; lowers the cortisol level; accelerates the reduction of adipose tissue; supports immunity, alleviates fatigue symptoms; reduces the level of lactic acid. 1 serving in the morning on an empty stomach, 1 serving after training. 1 serving in the morning on an empty stomach, 1 serving at bedtime. Inne składniki: żelatyna, stearynian magnezu.